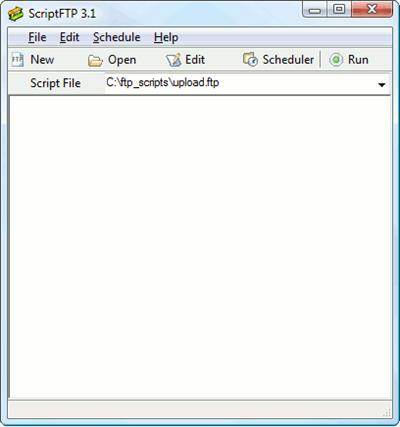 ScriptFTP is a FTP client designed to automate file transfers. It follows the commands written on a text file (also called script file) and make the transfers automatically. Writing the script file is very easy, take a look at the script samples section. - Automated FTP and secure FTP transfers. - Powerful and easy script language. Many examples. - Upload/Download a set of files or directories. - Synchronization. Transfer only modified files. - Script Scheduling. Execute your transfers periodically. - ZIP file creation for automated backups. 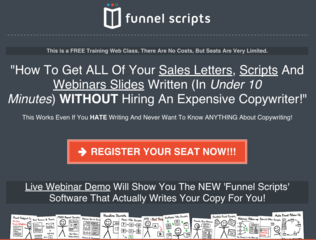 - Report script results via email. - File logging. Log all the transfer details on a text file. - Error handling. Make your scripts fault tolerant. - Execute external programs within the script. - Delete remote directory trees. - Get environment variables within the script.